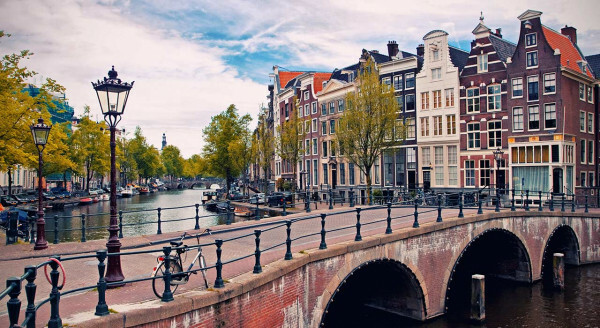 Amsterdam, seduces tourists with its stunning setting around a 17th century ‘Golden Age’ ring of canals (the Grachtengordel), some of the world's finest art (in the Rijksmuseum and Van Gogh Museum) and its tolerant culture. It is a city of charm and easy-going appeal. 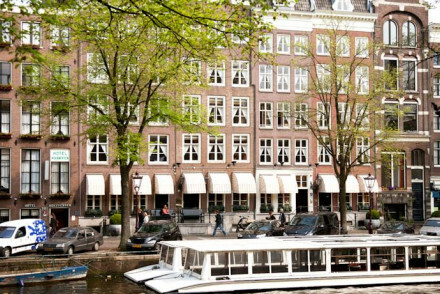 However, the best places to stay in Amsterdam have always presented something of a problem, since the vast majority of buildings in the city’s historic centre are tall and narrow, giving little space for things like restaurants, lounges and spas... so you’ll need our Guru’s list of Amsterdam’s 20 best hotels. 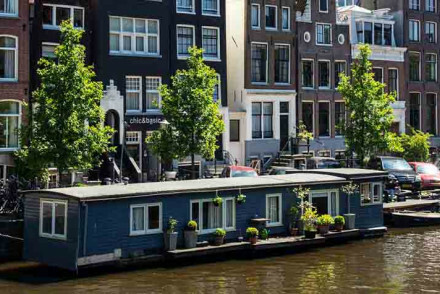 There’s a HUGE range of choice when it comes to Amsterdam’s accommodation, which is why it’s so important to choose Amsterdam's best hotels wisely! 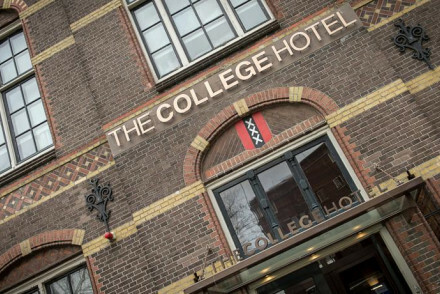 The College Hotel is a boutique hotel in the centre of Amsterdam’s fashion and museum district, with large rooms, a terrace, bar and restaurant. 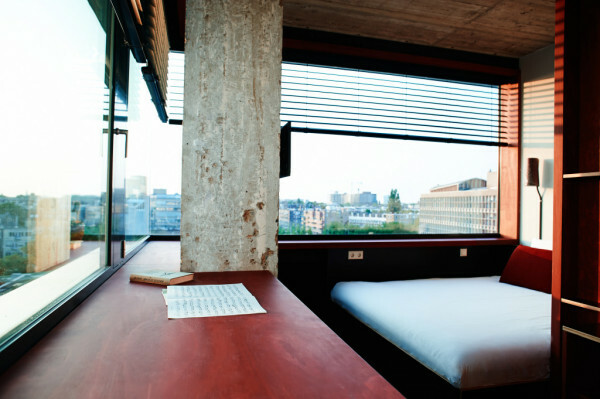 The Hotel V Nesplein is a slick, modern city hotel with industrial chic style and a buzzy restaurant and bar. The Lloyd Hotel & Cultural Embassy is a large, historic building with industrial sized rooms each individually decorated and a great selection of public spaces used for art exhibitions, meetings, fashion shows, a library and of course restaurants. 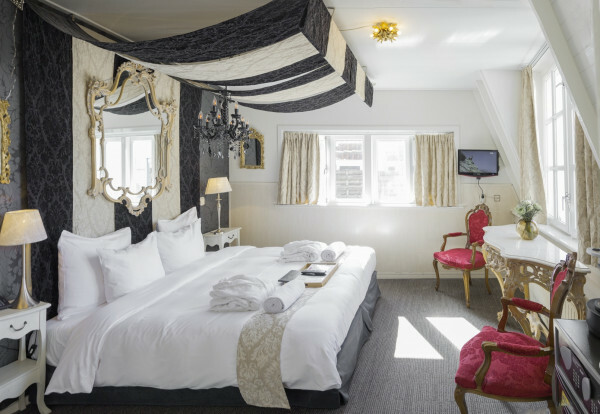 Or, for something smaller, and with a little more historic charm, try the Art Deco Hotel Roemer, with its individually decorated rooms, roaring fires and hidden private garden. Misc has just six personally styled, boutique rooms, and is right by the canal, in the fashion/ cultural district, so it’s a great choice if you want a bit of peace and privacy. The Suitehotel Posthoorn is another six room hotel, this time converted from a lovely townhouse just outside the city proper, and with the value add of a Michelin starred restaurant. 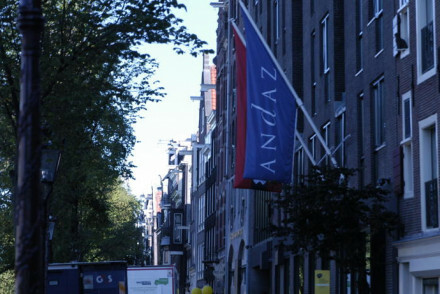 Or, for something larger, try Andaz Amsterdam, a spectacular, five star boutique hotel with fantastically designed rooms, suites and public spaces - think chandeliers, murals, plenty of gold, and canal side views. The Hotel de L'Europe is a luxurious, five star, canal side hotel with a Michelin starred restaurant and a state of the art spa. The Sir Albert is a smart, contemporary hotel with white and dark decor, every modern gadget, a wonderful library, wine collection and spa and a fantastic Japanese restaurant. 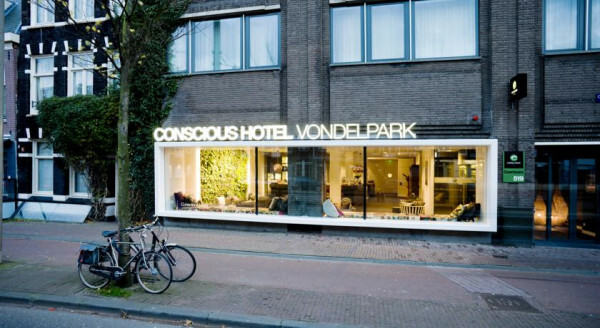 The Hotel Vondel is in a great location near shops, museums and Amsterdam’s nightlife and has 80+ whitewashed rooms with wooden furniture, arranged around a lovely courtyard garden - and all starting from around £60 per night. For around the same price you could stay at CitizenM Amsterdam City, a modern hotel with small, high-tech tools and a cool living area and canteen. 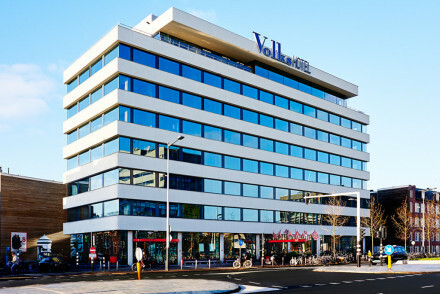 Also amazing value at around £56 per night, the Volkshotel is an old newspaper office converted into a large, creatively designed hotel with its own bar and nightclub. Art'otel is a modern hotel, specially designed to be young and hip, and it’s even got its own art gallery and an excellent restaurant. The Conservatorium was originally a bank then a music school, and is now a hip, buzzy hotel ideally located for all that the city has to offer. Or you might try the Hotel Estheréa, which sounds kind of old school, and is converted from an opulent 17th Century hotel next to the city’s oldest canal, but is actually very lively. 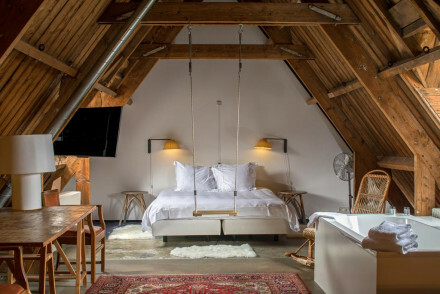 For something hip, but also beautifully located, try the Max Brown Hotel, which has 34 stylish rooms overlooking one of Amsterdam’s prettiest canals, close to the major sights and nightlife. 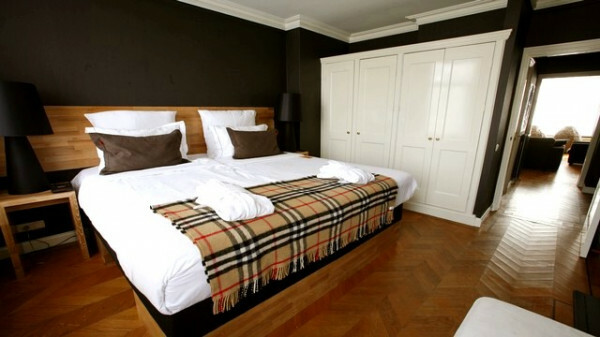 The Hotel Wiechmann is a simple, family-run hotel in a converted canal house in the centre of town and makes for a well located, and reasonable break. 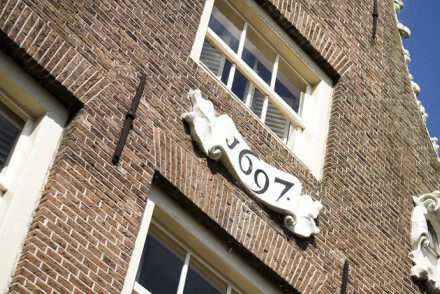 The Hotel JL No76 is a great value option for families, close to museums and shopping and with a relaxed, fresh design feel. If you can run to it the Seven One Seven Hotel is also fantastic for families, and should satisfy even the fussiest of guests. Located in a grand old world canal side building, it is hugely luxurious, but at the same time does not appear to be trying too hard. 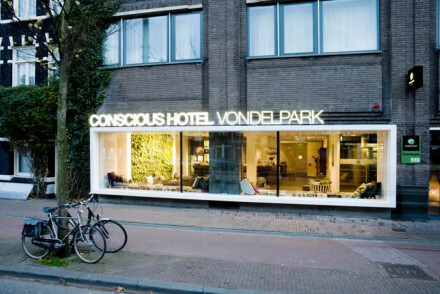 The Conscious Hotel Vondelpark is an eco hotel with up to the minute modern design. Everything here is recyclable and breakfast is totally organic and free range. 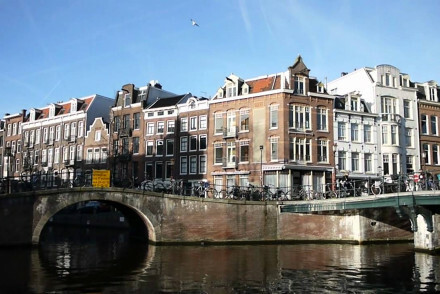 Expand your search to include all the best places to stay in Amsterdam? 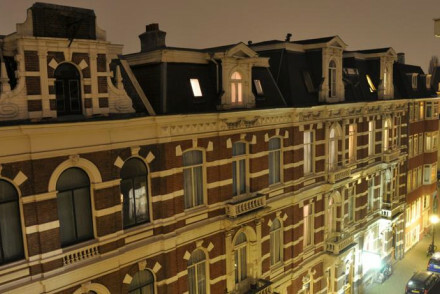 Or consult our Guru’s list of the 15 Best Guesthouses in Amsterdam? Four star boutique in Amsterdam's Fashion and Museum District. Welcomed by sensual interiors, the modern guest rooms are spacious and a great base for local exploring. Enjoy the Bar Lounge and the High Tea, a cocktail on the terrace and mouth watering dishes throughout the day. Vibrant and trendy. 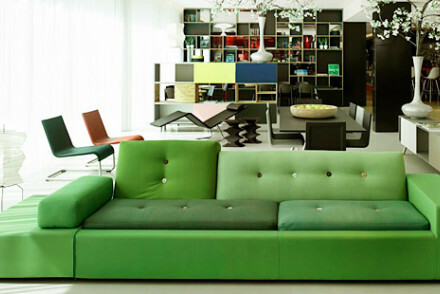 Designer - Interiors by famed designer Martijn de Goede. A sophisticated contemporary hotel with its own art gallery. Young, hip and designed for movers and shakers. Shiny rooms and suites with lots of space and subtle lighting. Excellent restaurant and access to the spa off site. A trendy spot. A spectacular Five Star boutique hotel, the ultimate in fantastical design. The suites, garden, spa, restaurant, bar and library are designer showcases - fish head centre pieces, chandeliers, ornate cornicing, murals, porcelain, metallic gold etc. Canal side cool and splendour. Romantic too. 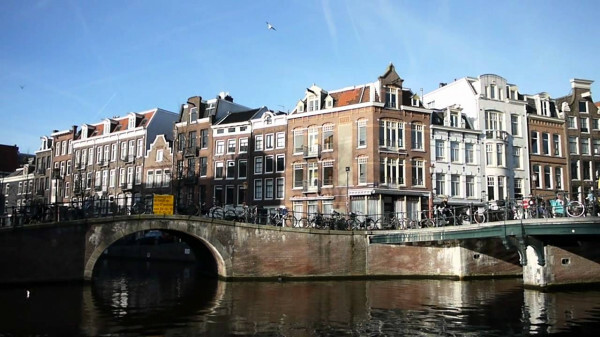 Sights nearby - Anne Frank House, Wester Church, Royal Palace, and the Red Light District. 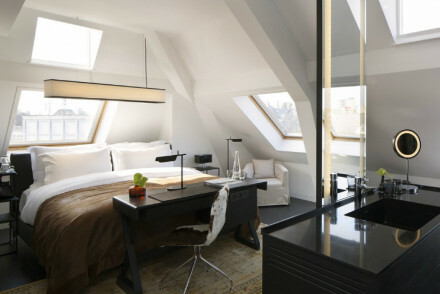 A modern and slick city hotel. Industrial-chic rooms and suites with dark wood floors and beautiful bathrooms. Buzzy restaurant and bar area which occasionally hosts live music. A central and cool spot for a romantic weekend away in Amsterdam. Contemporary - Loft-style rooms are super chic. A luxury Five Star hotel on the canal side with Michelin starred restaurants and a state of the art spa. Decadent traditional living areas lead up to opulent rooms and suites. Rich wallpapers, private jacuzzis, marble bathrooms, mahogany furniture. Definitely for the luxury traveller. 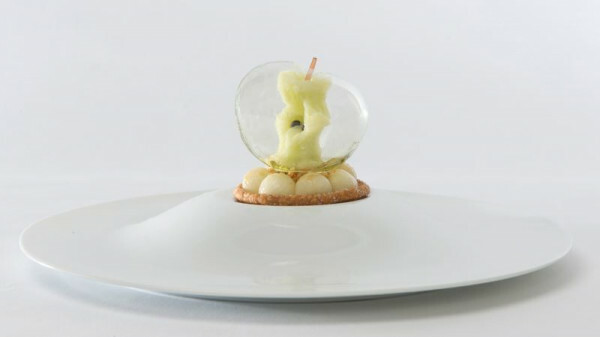 Foodies - Michelin starred restaurant and others. Swimming Pool - Indoor pool with a jet stream, jacuzzi area and great views over the Amstel River. 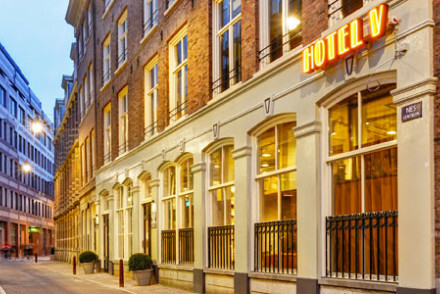 17th century townhouses make up this boutique hotel on Amsterdam's oldest canal. Chandeliers, mahogany paneling and extravagant decor adorn the rooms. Large suites are all unique with luxurious fabrics and vibrant wallpapers. Breakfast is worth waking up for; drinks at the bar worth staying up for. 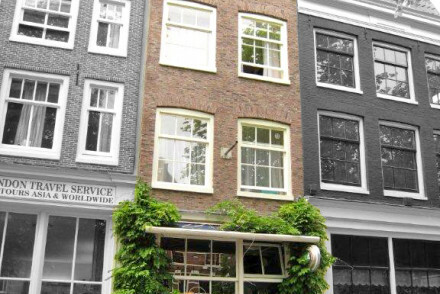 Sights nearby - The Anne Frank House is close by. Small art-deco hotel in downtown Amsterdam. Individually decorated rooms, a roaring fireplace in the lounge, and a hidden privately owned garden. A city break with oodles of character and an intimate atmosphere. Sights nearby - Very close to art galleries and Van Gogh Museum. Great walks - Vondelpark is just round the corner. 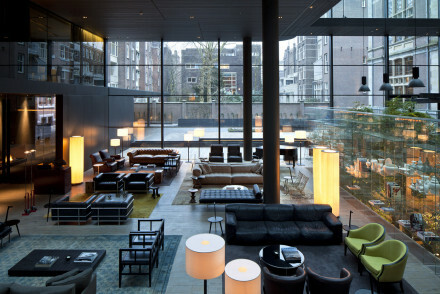 A sleek and modern hotel with a lively atmosphere near Amsterdam's nightlife, shopping, and museums. Decor is chic: courtesy of designer owner Arjen van den Hoff. Untreated wooden furniture and white-washed walls create a minimal feel with cosy textiles. The courtyard garden is fabulous. Lively - At the heart of Amsterdam's lively centre. A renovated 17th century canal house in the heart of Amsterdam. Personally-styled rooms - bright, modern decor and canal or garden views. On the doorstep of the city's cultural and fashion districts - hire a bicycle from reception and explore the city at ease. 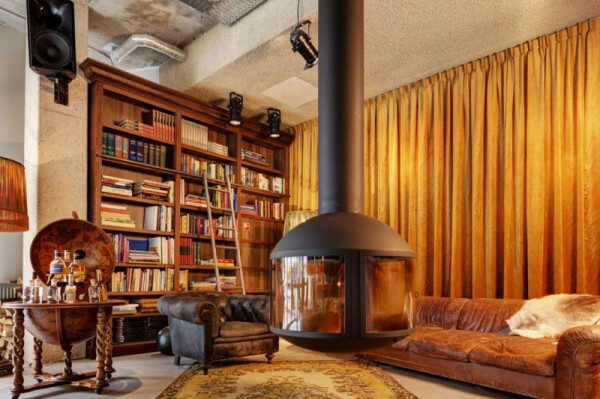 Set in East Amsterdam, an old Newspaper Office HQ has been redesigned as a creative hub welcoming all guests, 'from stockbrokers to punk rockers.' The contemporary feel runs throughout the hotel, from the flexi work space to the exciting bar and nightclub and into the individually designed rooms. Local markets - Explore the infamous flower markets. Hotel Wiechmann consists of three canal houses turned into a simple family-run B&B offering the essentials. Comfortable, breezy rooms with modern bathrooms and a complimentary delicious breakfast. Proximity to the main attractions and shopping districts is a big selling point. 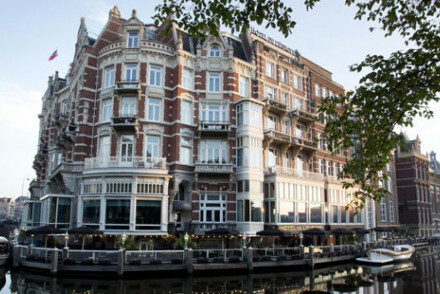 Great walks - This charming hotel is set on the Prinsengracht canal, an ideal spot for an evening stroll. Very smart, almost masculine, contemporary hotel with a fantastic Japanese restaurant. Luxury rooms and suites in white with dark furniture and all the modern gadgetry. Wonderful library, wine collection, and spa. Sophisticated, smooth, very luxurious. Foodies - Fantastic Japanes restaurant. Sights nearby - Van Gogh museum. A vibrant, stylish eco-hotel with state of the art modern design. Bright, spacious rooms and delicious organic breakfasts. 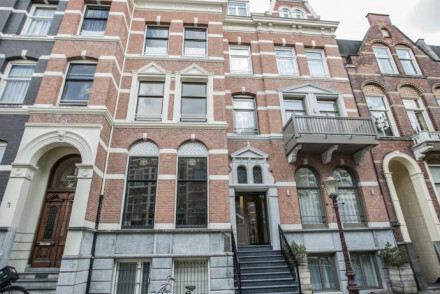 Fully sustainable and ideally situated, right next to the leafy Vondelpark in the centre of the city. A homage to modern design in the centre of Amsterdam. Huge open rooms, minimalist furniture, and natural light. Bars, restaurants, and a large spa. Full of character, this brightly decorated hotel has uniquely designed rooms, in the style of different philosophers. 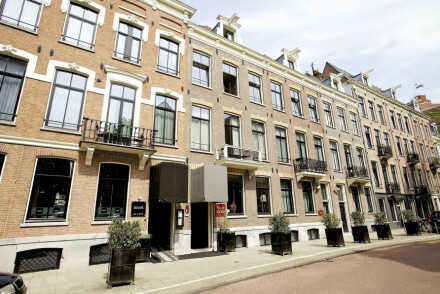 Situated in two 19th century townhouses in the old city-centre, close to museums and the Vondelpark. A cosy place from which to explore the city. 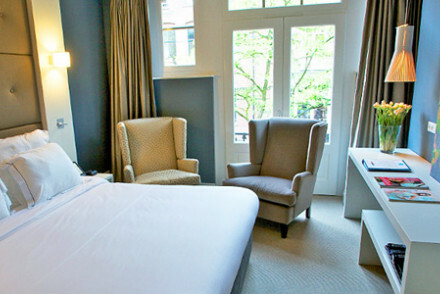 An excellent townhouse hotel just outside Amsterdam with a Michelin starred restaurant. Sumptuous, sultry rooms and suites with wallpapered walls, four poster beds, and stand alone bath tubs. A sophisticated gourmet choice. Foodies - Michelin starred restaurant. 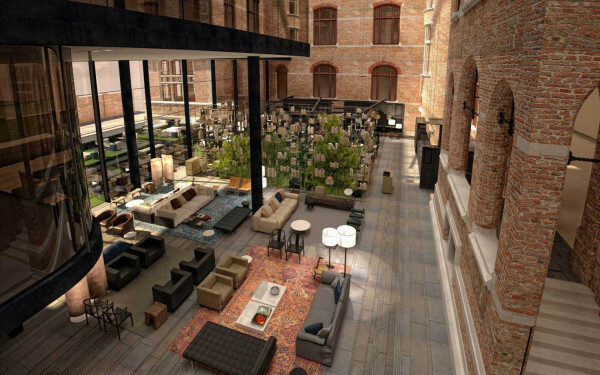 An urban-chic destination in downtown Amsterdam. Funky modern art designs and a lively restaurant. 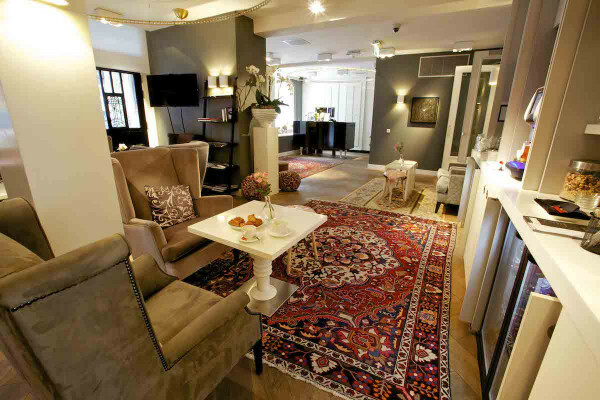 Its understated style and casual ambience is perfect for families or a relaxed city break. Sights nearby - Near all the museums. Stylish rooms, in a great central location, all at a reasonable price. 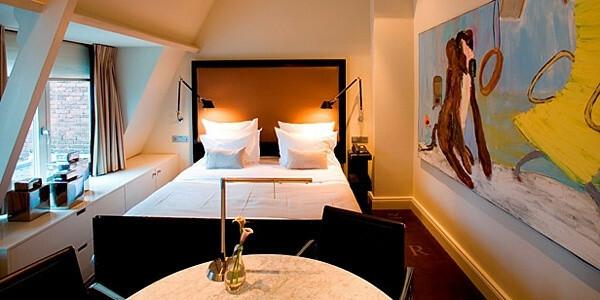 Larger rooms have great views over the Herengracht canal - one of Amsterdam's prettiest. Major sights and nightlife are all easily accessible. A hipster hang out that won't break the bank. Sights nearby - Very central location, with many sights easily accessible on foot.